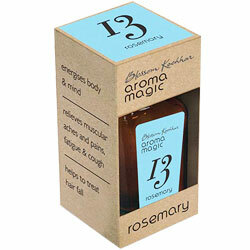 Aromamagic Rosemary Oil - Energises body & mind, relieves muscular ache, pain fatgue & cough. Relieves Muscular Ache and Pain fatgue and Cough. Helps to Treat Hair Fall.